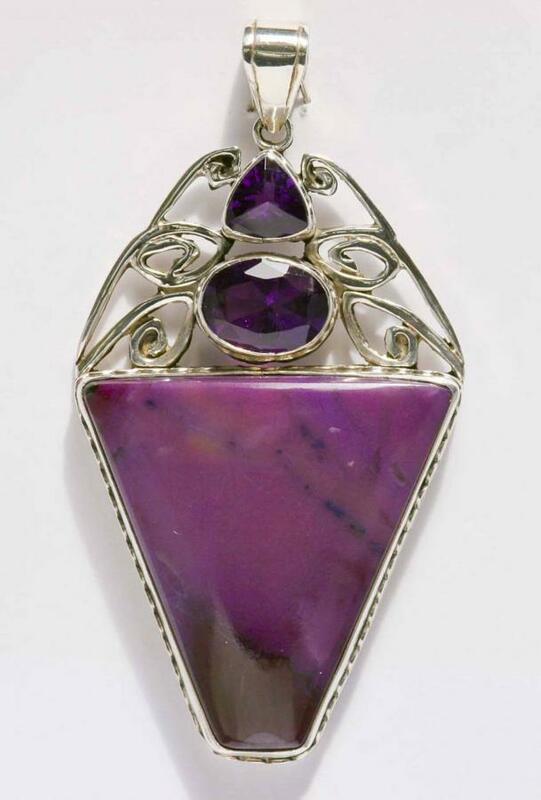 The beautiful intense purple of this African amethyst and sugilite pendant is amazing. All the bezels around the stones are decorated with a Celtic weave of silver. A stunning piece.